David Cassidy, appearing at The Newton Theatre. Image provided. 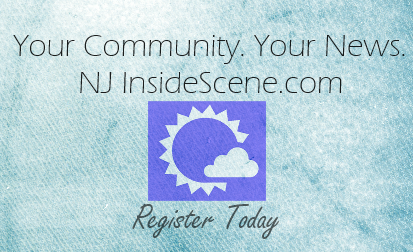 NEWTON, NJ – The Newton Theatre welcomes entertainer and former teen idol David Cassidy on Friday, June 10, 2016 at 8:00 pm. Tickets will go on sale to the general public on Friday, March 11th at 10:00 am. 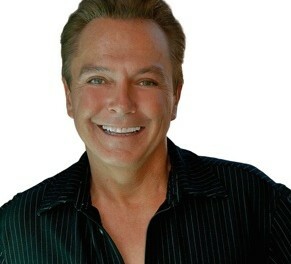 David Cassidy has managed to stay at the top of his game for over four decades, with a unique ability to re-invent himself and adapt to numerous genres from concerts to theater, television to Las Vegas, and even actor/singer to producer/writer/director with a demographic that crosses three generations. David rose to stardom in The Partridge Family and became the biggest TV and performing phenomenon in history by the time he was 20. David Cassidy has made his mark and been lauded with nominations and awards in each arena. David has certainly proven that it is talent, creativity and tenacity that keep people coming to shows, turning on the television, and buying his recordings. Hailing from a family of actors, mother Evelyn Ward and father Jack Cassidy, his fate as a performer was essentially seeded at a young age. It was by coincidence that he wound up starring with stepmother Shirley Jones in The Partridge Family. With David Cassidy cast as its juvenile star it became an astonishingly successful series, and launched one of the most spectacular careers in the entertainment industry. Before the end of 1970, the year that The Partridge Family premiered, David had the #1 selling single of the year and record of the year, garnered multiple Grammy nominations and won a Golden Apple Award. Over the next five years, membership in his official fan club exceeded that of Elvis Presley and the Beatles. Those were only the first of many records David broke in his long and constantly evolving career. He became the first personality to be merchandised globally. His likeness appeared on everything from posters to lunch boxes, comic books, toys, cereal boxes and almost anything else imaginable. His concerts sold out in the largest arenas and stadiums in the world which made him the world’s highest paid performer by the age of 21. He broke box office records around the world. To date, his records have sold well over 30 million copies worldwide and have been recognized with over 24 gold and platinum recordings including four consecutive multi-platinum LP’s. David was responsible for seven chart-topping Partridge Family singles including Doesn’t Somebody Want To Be Wanted, I Woke Up In Love This Morning, and of course, I Think I Love You, the best selling record of 1971. As a solo artist, David has had hit singles including Cherish, Could It Be Forever, How Can I Be Sure, Rock Me Baby and Lyin’ to Myself. In addition to the superstardom he has enjoyed as a singer, songwriter and producer, David still thinks of himself as an actor. His credits also include an Emmy nomination as Best Dramatic Actor for his role in the highest rated Police Story episode in its seven year history. Never one to rest on his laurels, he went to Broadway where he starred in the original production of Joseph and the Amazing Technicolor Dreamcoat. Then London beckoned to David, and he starred in Time with Sir Laurence Olivier at the prestigious West End. In 1994, he once again broke box office records in the stunning and highly lauded production of Blood Brothers on Broadway, working for the first time with his brother Shaun. In 1996, David starred in the $75 million extravaganza EFX in Las Vegas. Under David’s creative direction and by entirely re-vamping the show, it became the most successful production in Vegas. David is also an active spokesperson and advocate for various Alzheimer’s organizations, since his mother suffered and ultimately died from severe dementia. David’s other passion, and avocation, lies with the thoroughbred horses. 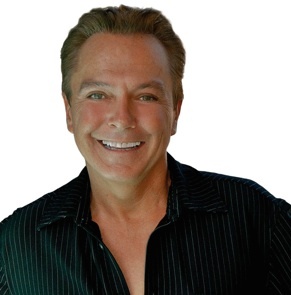 Tickets for David Cassidy range from $44.00 to $59.00. Purchase tickets by visiting www.thenewtontheatre.com or contact the Box Office at 973-383-3700.